Earlier this month Gaby and I went to San Diego to take care of some pre-wedding stuff. So of course I took the opportunity to do some birding. It turned out to be one of my most memorable birding weekends ever. I saw 81 species and 9 lifers! The first place I went was the San Diego River at Robb Field south of Mission Bay. There were lots of shorebirds and gulls on the mudflats. 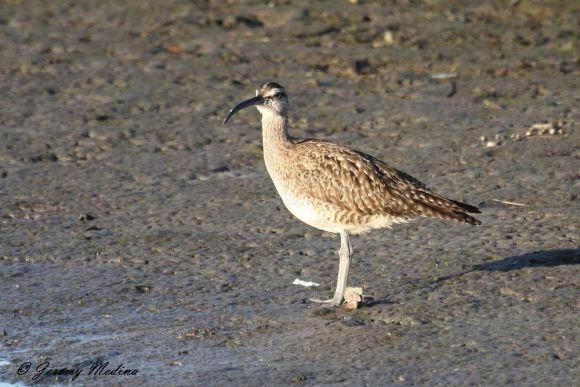 The first bird I saw was this Whimbrel. 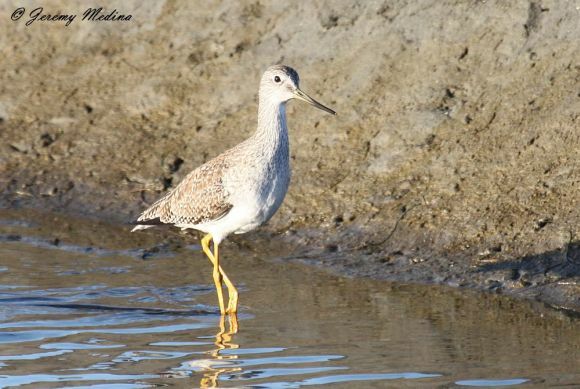 There were lots of Willets, Black-bellied Plovers, and Greater Yellowlegs around. 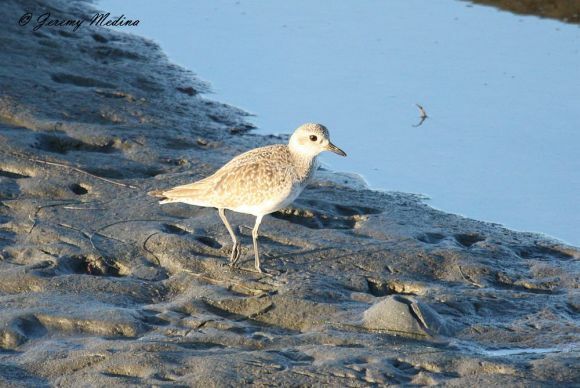 I was hoping for a Pacific Golden-Plover, but I didn't have any luck. Who knows, there could have been one out there somewhere. 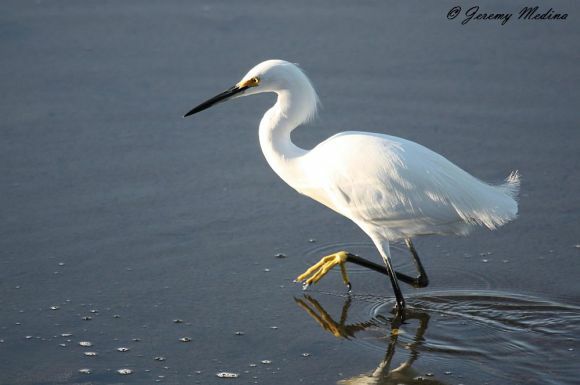 I noticed a Snowy Egret approaching and waited for it to come closer. Then I noticed a birder setting up his scope nearby. I went over and introduced myself to him. He introduced himself as Leo Miller of Chicago. He told me he had wintered in Arizona before. 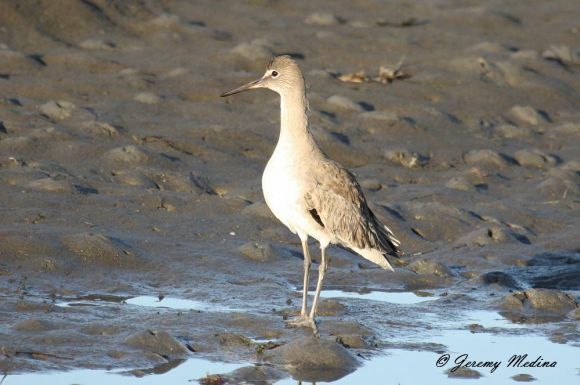 We talked about the great birding in Southeast Arizona as he scanned the distant shorebirds. 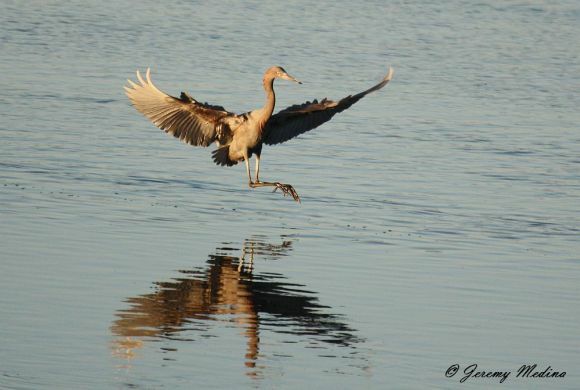 I saw my target bird, a long-staying Reddish Egret, come close enough to get a decent shot. It put on quite a show of acrobatics and dancing in the shallow water. Leo picked out a Red Knot and some Ruddy Turnstones (lifer) in the distance. We were soon joined by another great birder, Gary Nunn. He told us he had seen a young Mew Gull up river. 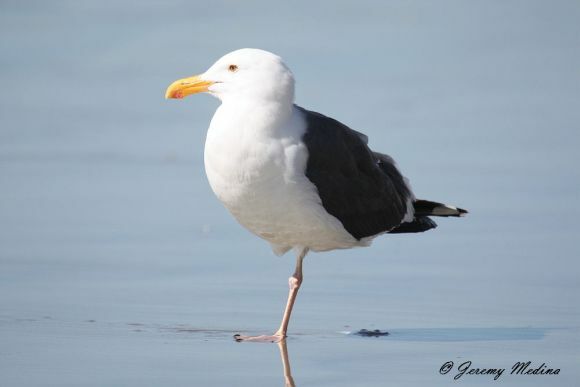 After scanning the gulls with his scope, he picked out another Mew Gull, this one an adult. As the sun was setting, we were treated with two Black Skimmers skimming the top of the water. That never gets old. They're one of my favorite birds to watch in San Diego. The next morning I was excited to go out looking for a Blue-headed Vireo staked out in a Point Loma neighborhood. After an hour of waiting and watching, it never showed. 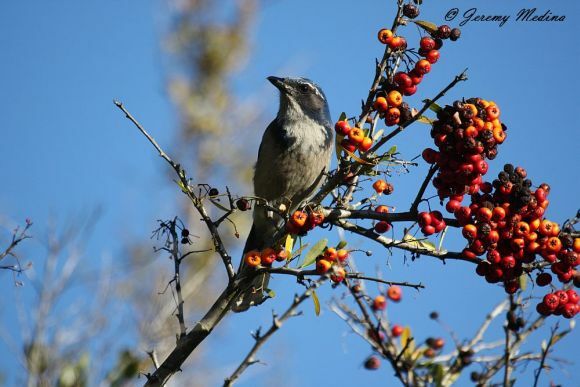 But I did see a couple Western Scrub-Jays taking a few berries for breakfast. Oh well, I thought. No worries. I still had an easy Cackling Goose to get at the Scripps library pond. Wrong! No geese were to be found anywhere. What's up with that! This was supposed to be the easiest bird on my want list. Disappointed, I headed back to pick up Gaby and have some much needed breakfast. Later we had some errands to run at the beach. Don't you love when that happens? Score! 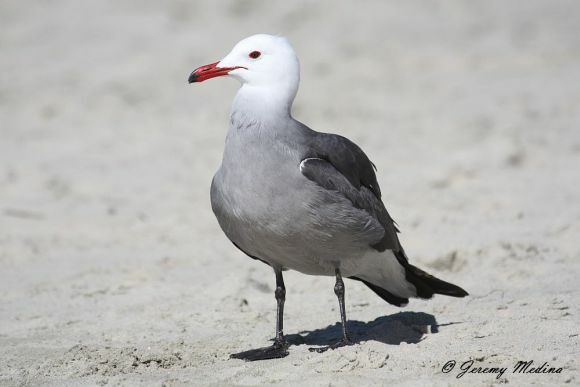 One of my favorite gulls was waiting for me at Coronado Beach. Five Marbled Godwits were hanging out too. I suggested we go on a nice walk on the beach. It just happened to be towards a large section of rocks going out into the water. Hmmm... I wonder how that happened? 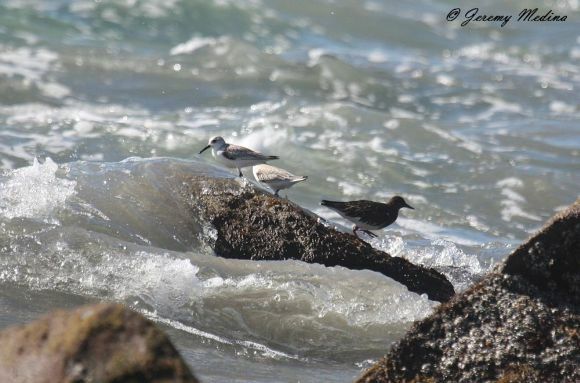 Well my plan worked out because right away I spotted a Sanderling among the rocks. I worked my way closer as the tide wet my pant legs. 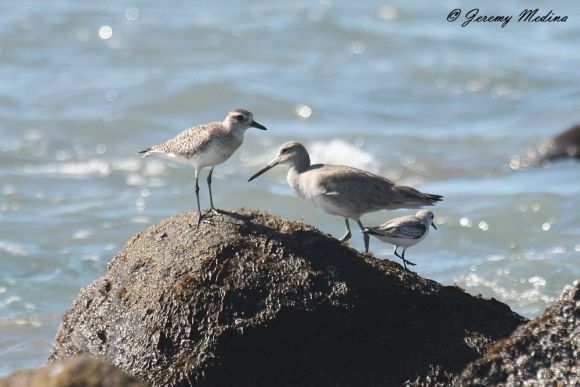 Then a Black Turnstone revealed itself along with a Willet and Black-bellied Plover. As a bonus, some Brant and Surf Scoters flew by. What a great spot! I will definitely remember to check this spot again when I go back in March. 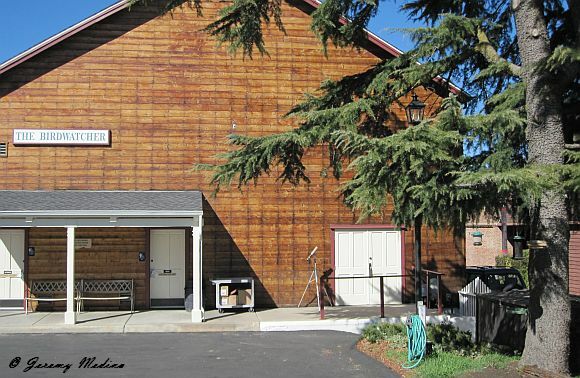 It won't be hard since I'll be getting married a few hundred feet away. We drove down Silver Strand Blvd. to Imperial Beach to check out the birding from the pier. 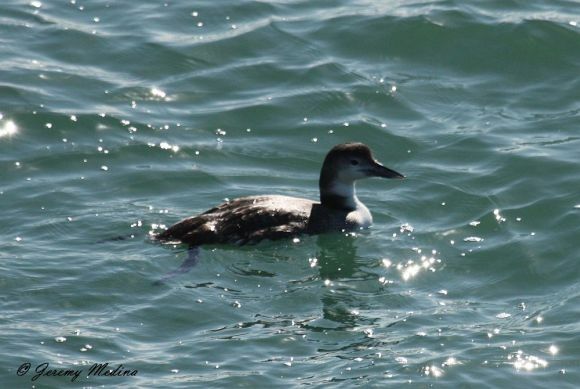 Just off the pier were some grebes and three species of loons. Could this get any better? Seven lifers in less than 24 hours! Of course it could. 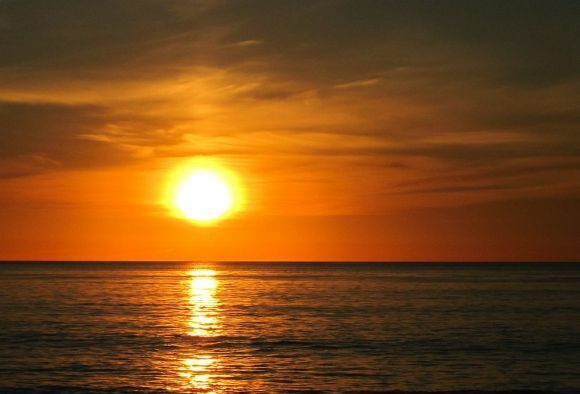 We went to Sunset Cliffs to watch, what else, the sunset. I honestly didn't have a hidden agenda this time. I should have because then I would have had my camera. Luckily I had my bins to watch pelicans and things. I scanned the base of the cliffs and saw something bobbing around on the rocks. Was that a Spotted Sandpiper? No, the bill was long and it had a gray breast and flanks. 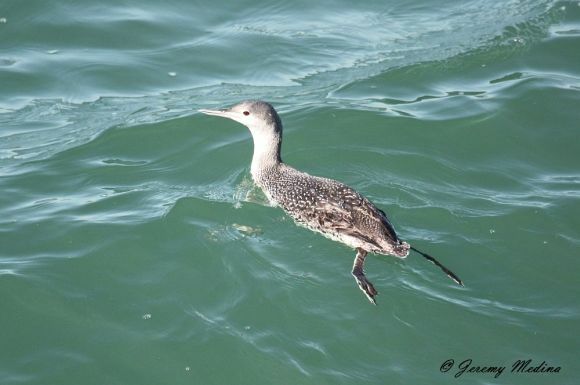 No way, a Wandering Tattler? Yep, two of them. Another lifer. The sunset topped off another spectacular day of "running errands." 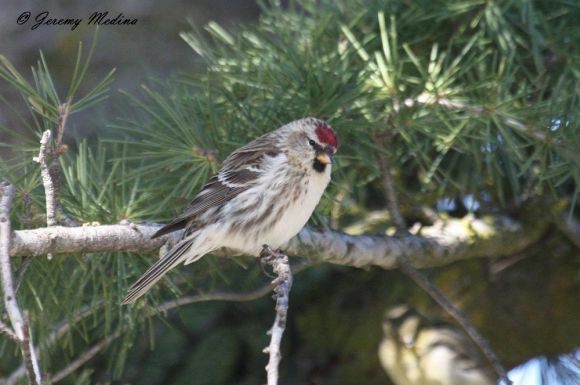 That night I read on the San Diego Birding List that a Common Redpoll had been discovered by Mike Goldhamer in nearby Julian. Get this, the redpoll was found at the feeders of The Birdwatcher shop! I'm told this is the first record of this species in San Diego County. It couldn't have been more perfect. This was only a short detour on my way back to Tucson. Since Julian is known for its apple pies, I played the apple pie card and convinced Gaby that the detour was necessary. 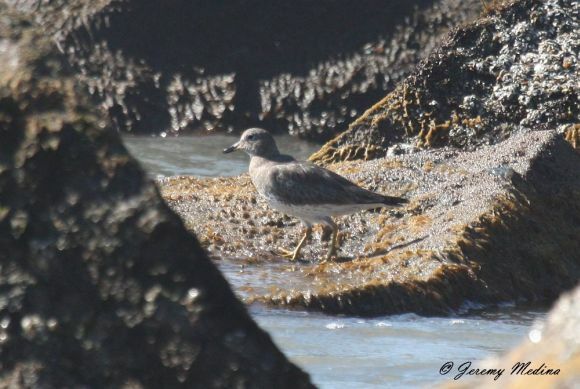 The day before, after the word got out about the discovery, some birders had waited three hours for the bird to show. My luck was still going strong because I had great views in three minutes. 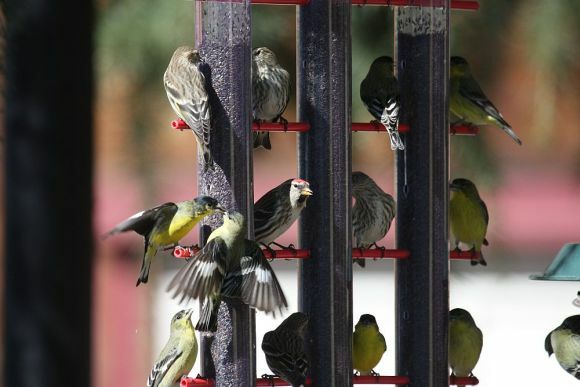 The redpoll even made The San Diego Union-Tribune. 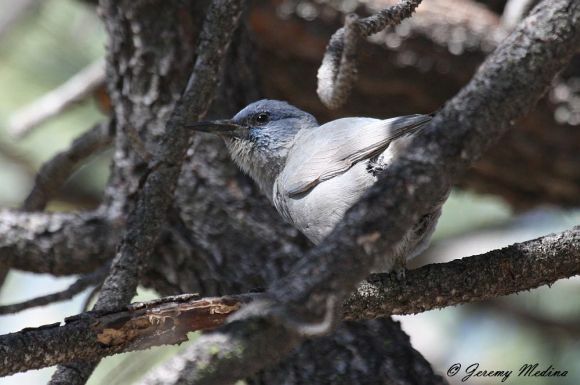 I decided to keep the streak going by checking for some Pinyon Jays I was told about by some other birders. After all, the Stonewall Mine at Rancho Cuyamaca State Park was in the direction I was heading. After seeing a male Williamson's Sapsucker in the exact tree I was told to look for it, I heard the jays. There were about fifteen of them foraging in the trees. Wow, this was too good to be true. What an incredible weekend of birding! Have any of you had a rare bird show up near where you were traveling and gone to see it? Looks like you had a great weekend in a variety of ways Jeremy. I used to live in that area as a kid but the only birds I was interested in at the time were the fancy pigeons I raised. Just might have to make a return trip for the native birds. Wow, 9 lifers! What a fantastic array of birds. What an amazing birding experience! 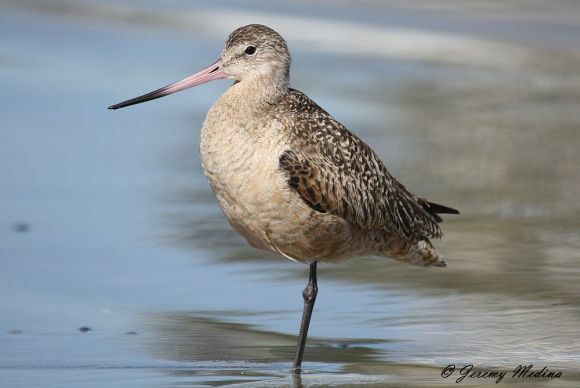 Thanks for all the photos as I often struggle with some of the shorebirds. Congrats on all the lifers! Oh my goodness, what a glorious day of birding! 81 species and 9 lifers is really something. Your enthusiasm rings through loud and clear in this wonderful post. Terrific photographs! Thanks for sharing your fantastic birding adventure. It was a joy to view this post! Wow very good trip and fantastic set of images... I'm stunned by all these nice birds shots and this diversity! 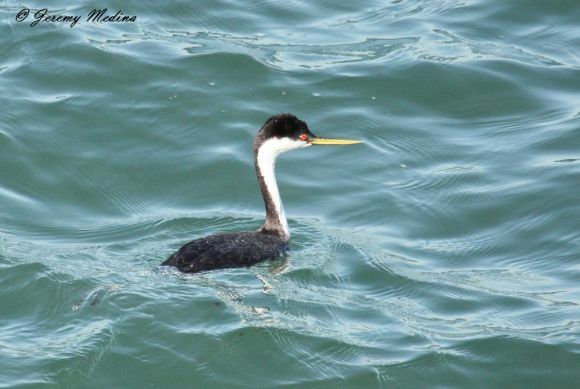 I lvoe the grebes and the gulls, they are so different from ours! Vaya pedazo de reportaje. Una verdadera maravilla. Un beso desde Murcia. Wonderful post on a great sounding trip. Superb photos. Jeremy, you really know how to share an exciting bird trip report. That is a rare talent. Awesome! Can't wait to go birding with you this weekend. Our class like the pictures of the birds you posted on your blog.